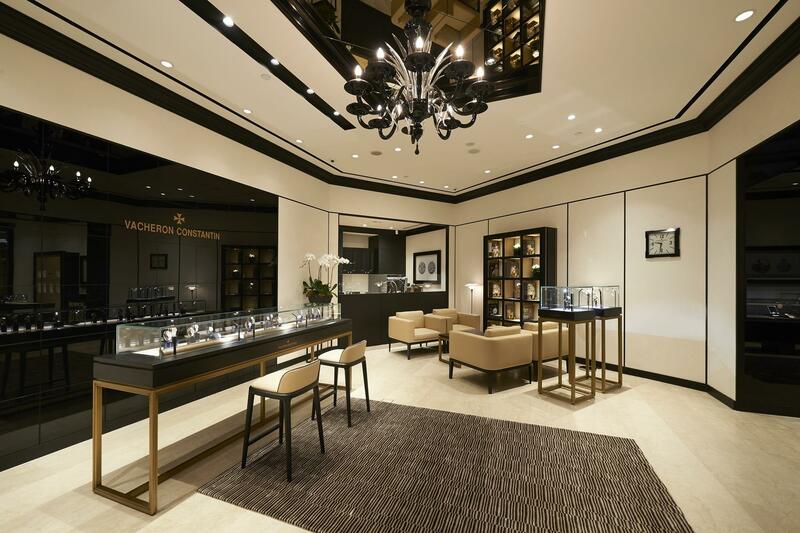 Set on 180 square meters, the Vacheron Constantin boutique in the ION Orchard welcomes watch enthusiasts and collectors to discover the exquisite collections and boutique exclusive timepieces with personal attention. 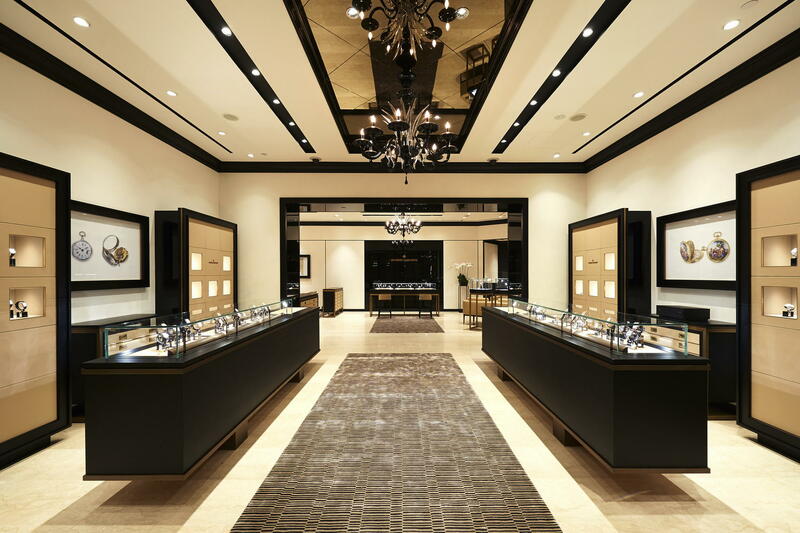 The stunning Ion Orchard boutique boasts an interior design concept that echoes the high level of craftsmanship and finishing embodied in Vacheron Constantin timepieces. The facade features a bevelled, square-shaped glass decoration specially customized for the space. The interior is decorated with custom-made Murano glass chandeliers from Italy, endowing the boutique with a refined ambiance. Natural oak, Italian marble flooring and walnut veneer and leather showcases create an environment of refined elegance that allures customers to appreciate the culture, history and tradition of excellence that defines Vacheron Constantin. As a final demonstration of Vacheron Constantin’s dedication to service, an in-house watchmaker will be present within the new boutique. The watchmaker is equipped to handle and service timepieces from up to 30 years ago. The boutique will not only create an exquisite environment to experience the brand’s masterful craftsmanship, it will also function as a gathering place for watch enthusiasts to discover the heritage and transmission of know-how that defines Vacheron Constantin.